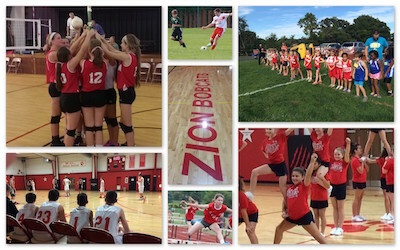 The Athletic Program is an important part of the educational curriculum at Zion. 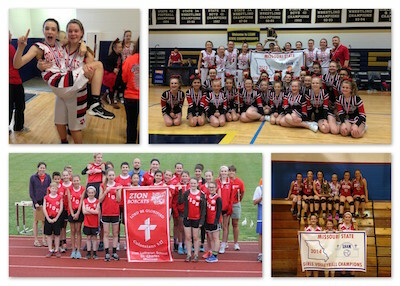 Athletics provides an opportunity for the student to grow and enhance athletic ability and learn about leadership and team. The program will show and prove that hard work and dedication produces results. Participants are stimulated to develop their God given talents and abilities to their fullest and cultivate a will to win. Every Practice. Every Game. Every Season. Youth Soccer Program is now Junior Cougar Youth Soccer Program. Below is the website that has information on the program. Zion Track and Field takes place in the Spring. 5th-8th graders are eligible to participate. Athletes compete in City Championships and at Lutheran School Association of Missouri State Track Meet.